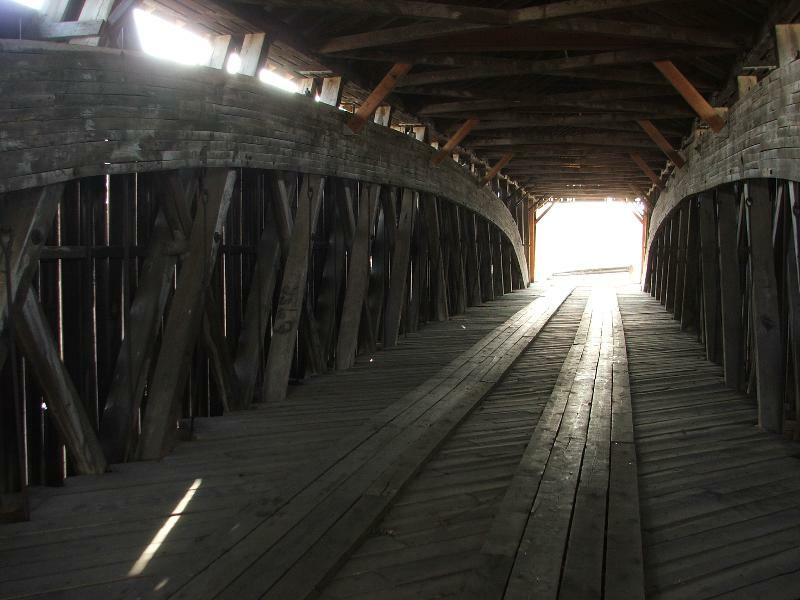 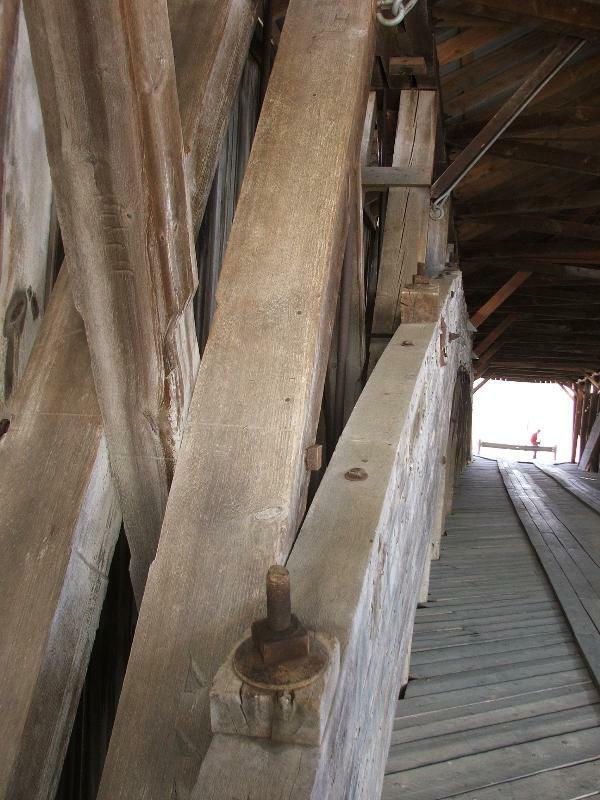 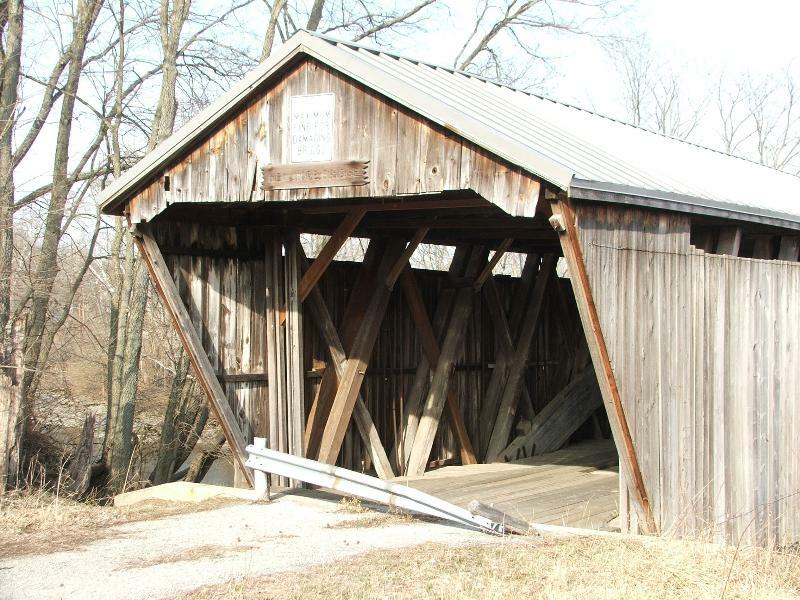 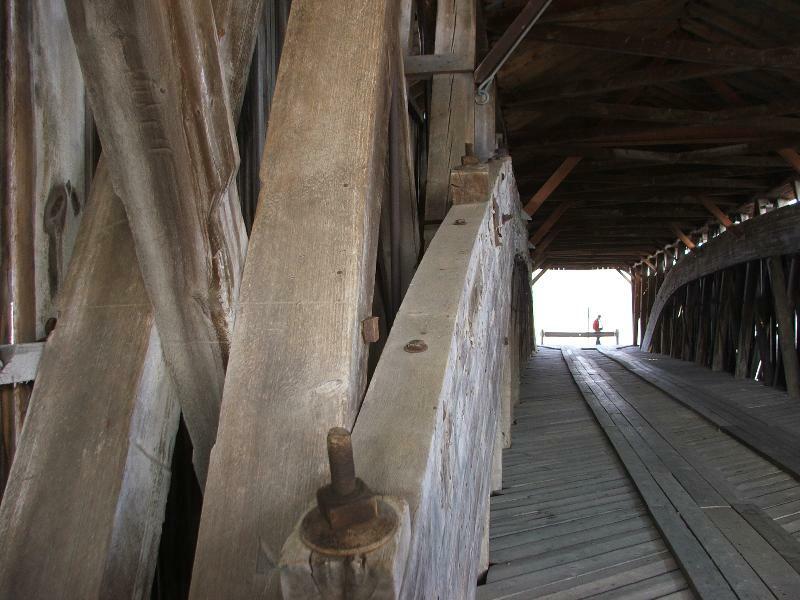 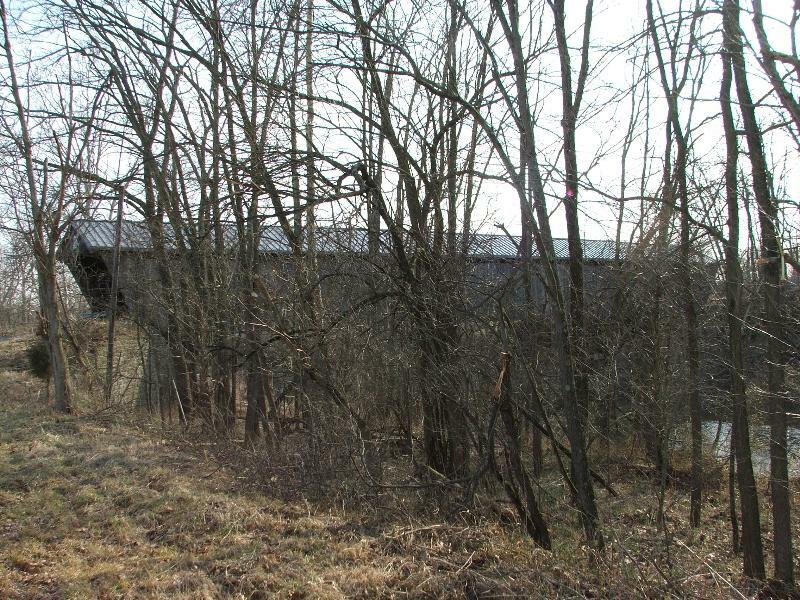 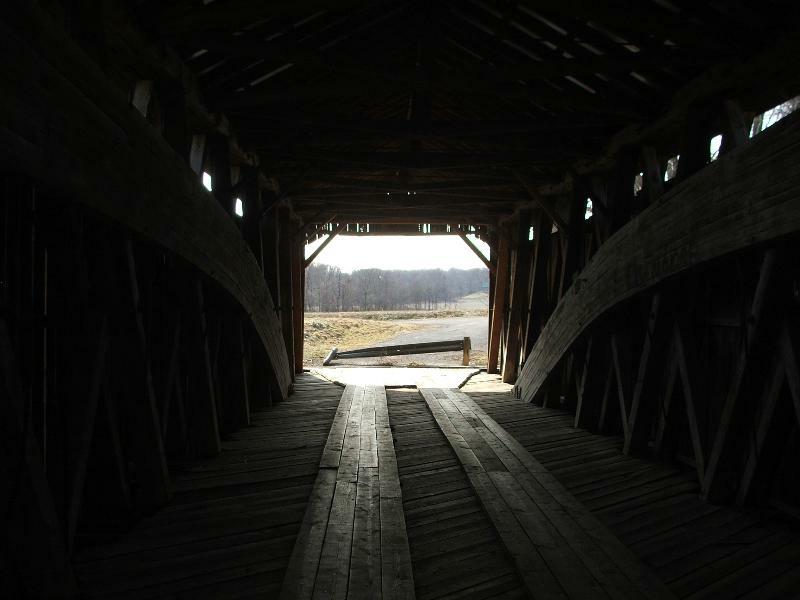 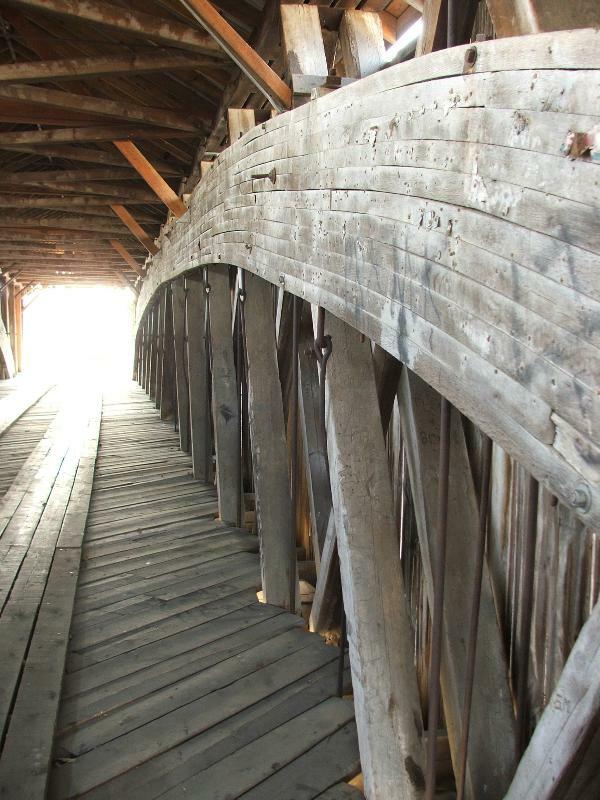 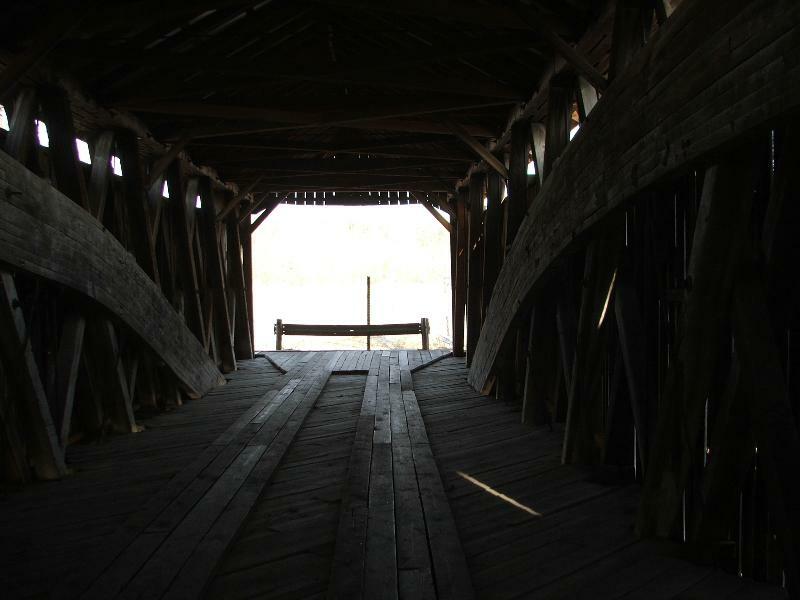 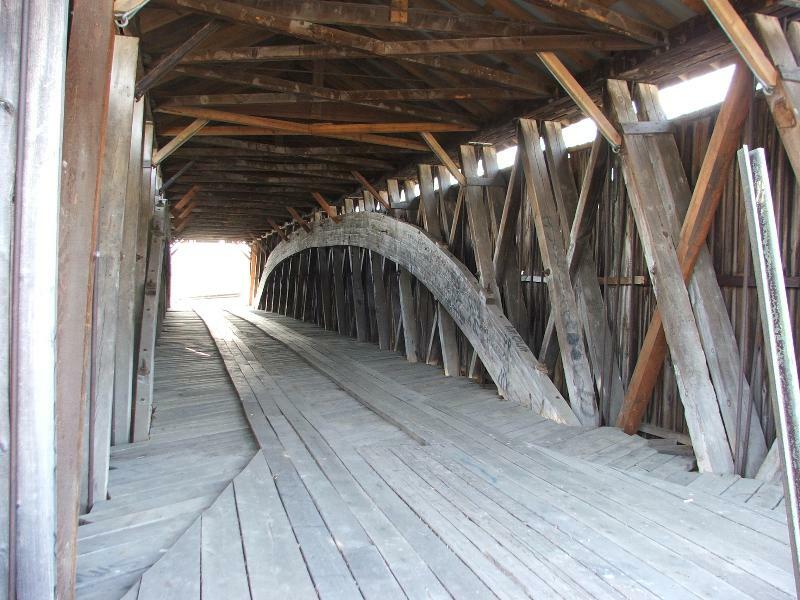 Located off U.S. Route 68, southwest of New Hope, this is a 188-foot Howe truss with laminated arches. 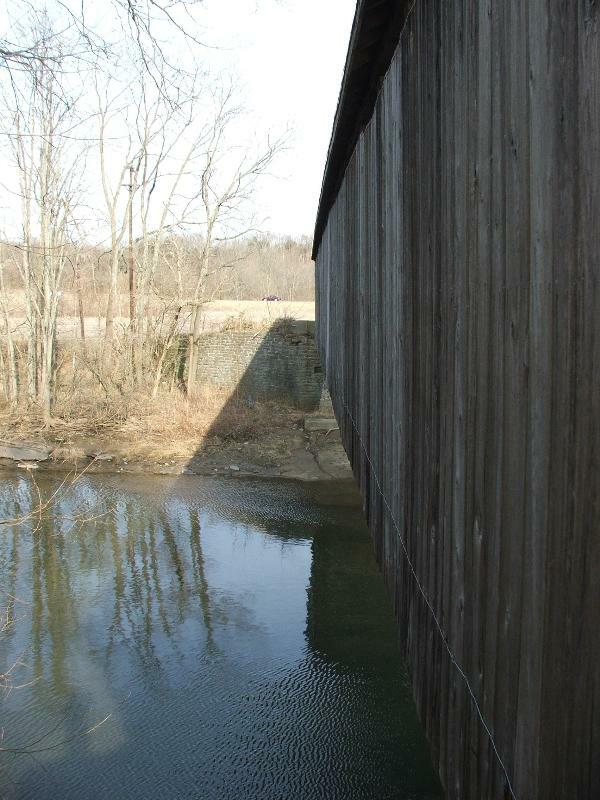 The bridge on this site was built in 1872 and replaced by the present bridge in 1878. 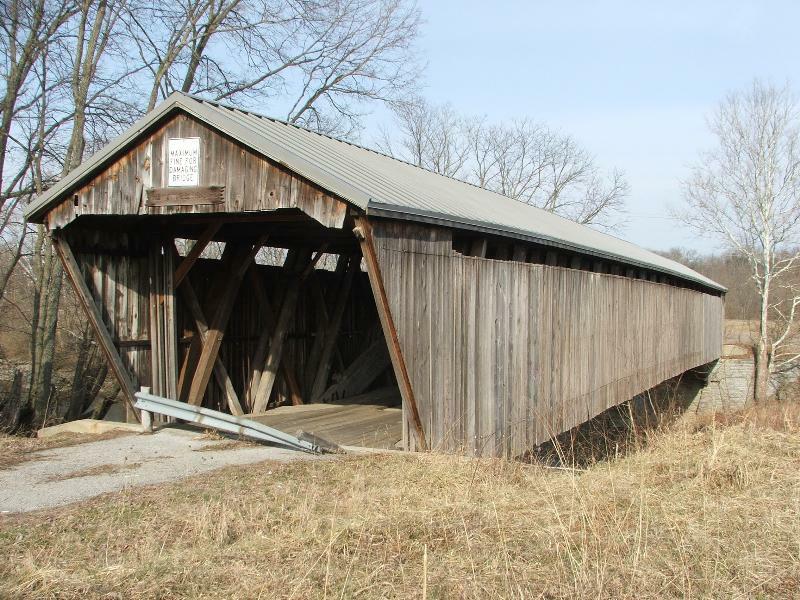 Josiah Bryant, well known Brown County bridge builder, was awarded the 1878 contract at $13.95 per lineal foot. 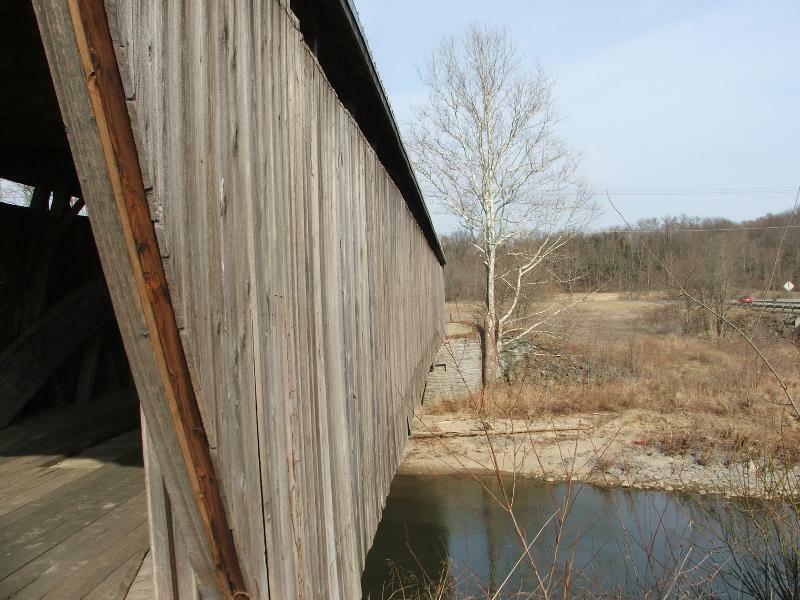 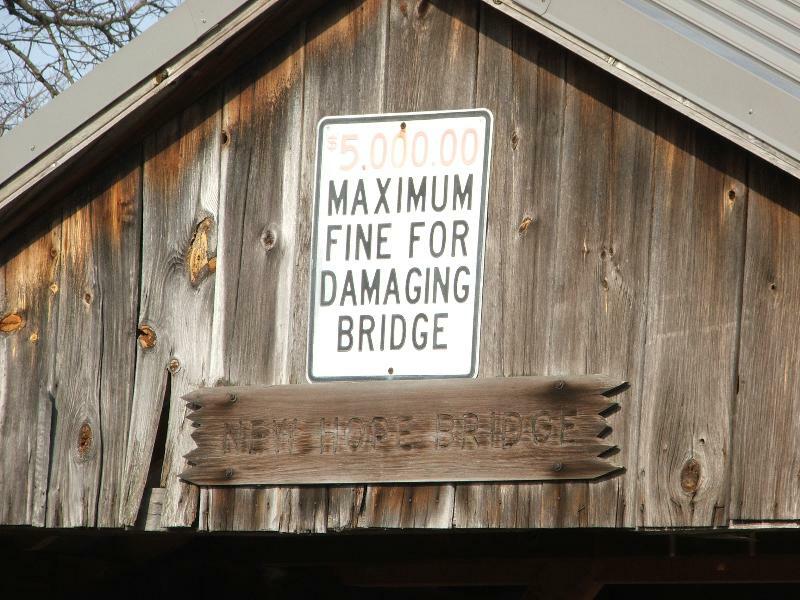 The New Hope Bridge is among the longer single-span covered bridges in the state. 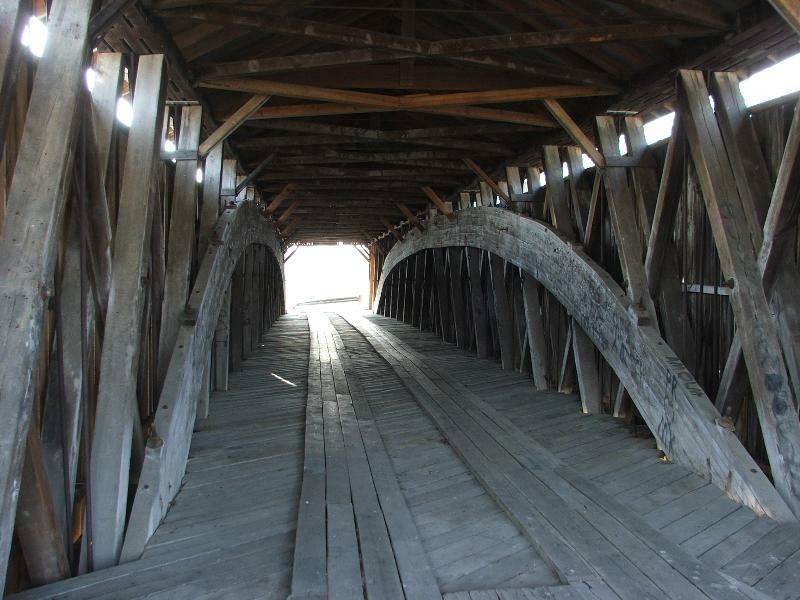 In 1902, the county employed Louis S. Bower, Sr., of Fleming County, Kentucky to renovate this bridge and he added eleven-ply laminated arches. 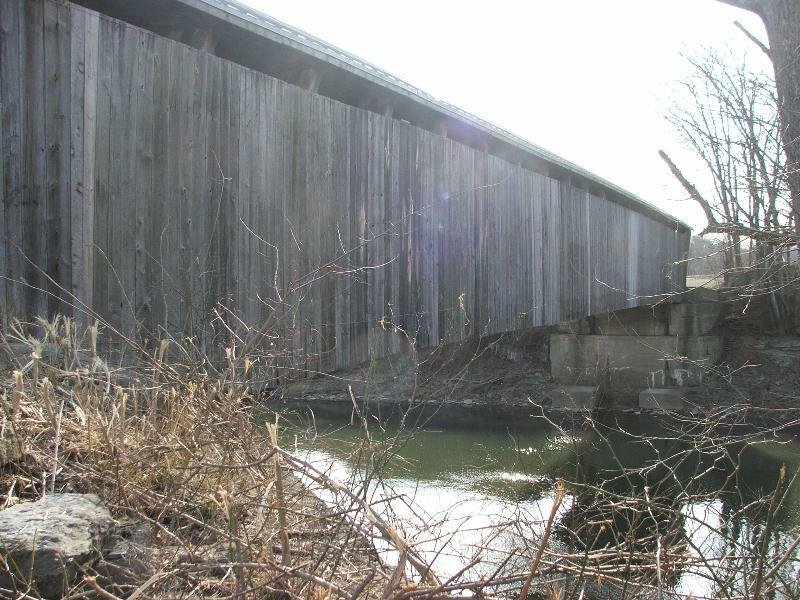 In 1977, Brown County hired his son, Louis S. “Stocker” Bower, Jr. to supervise more repairs. 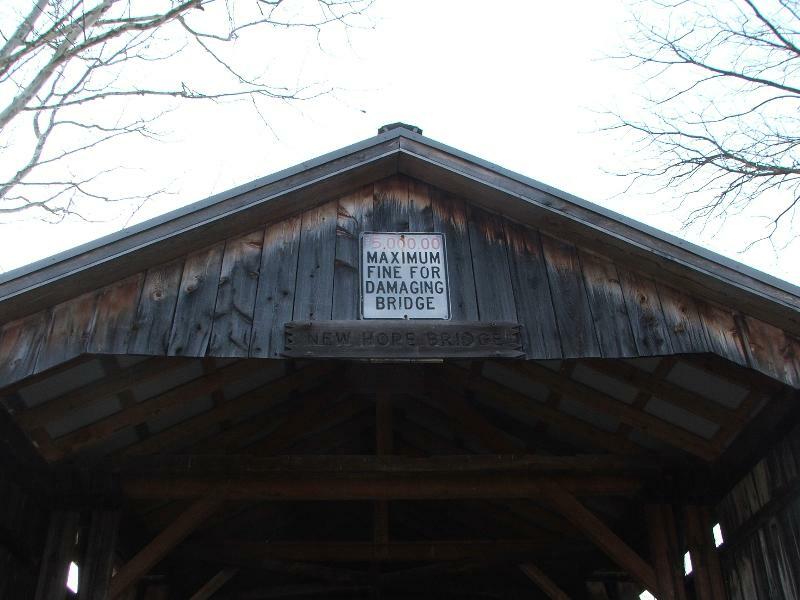 The bridge unerwent extensive repairs in 2003-04 and is currently closed to traffic. 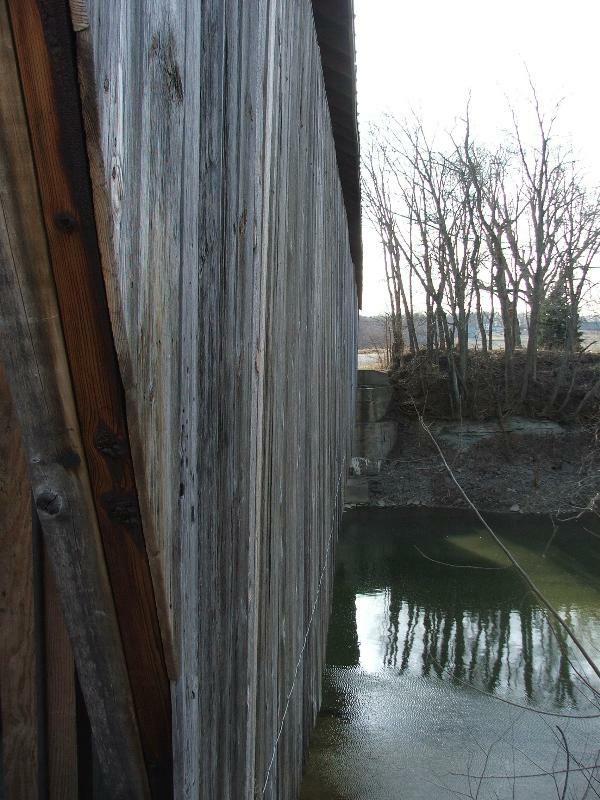 At the N-E end of the bridge at 3 paces away there are two poles you will see. 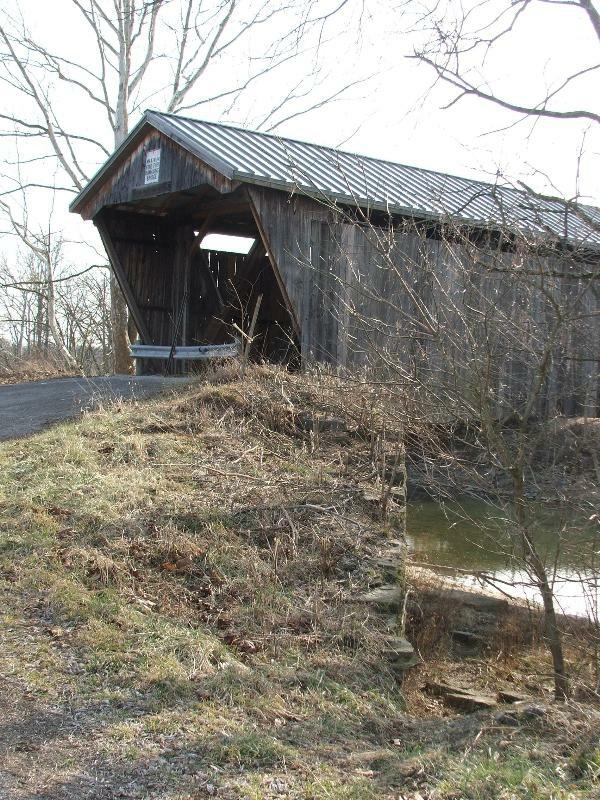 small rock and you will see the covered bridge box .